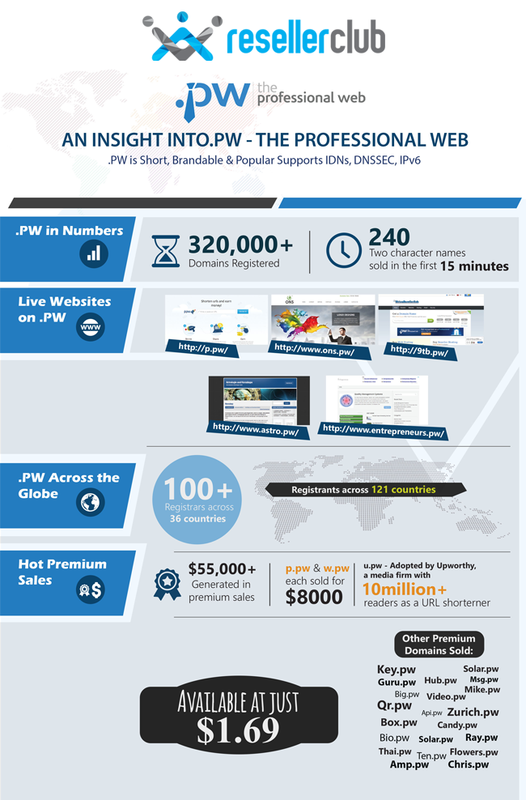 Want to know just how well .PW is doing as a TLD? Check out the stats on the domain extension in this cool infographic! At ResellerClub, we’re offering .PW at an irresistible price of $1.69! Go grab it now!